Push notifications are run through apps; where your backend CMS is able to send a message or an advert direct to the users phones, even without the app open, which I'm sure you will agree, can be used a powerful marketing tool. There are a few different types of push (and pull) marketing options available today, each with their own strengths, this article shows you the power and strength of each one of them to allow you to choose what suits your own business. Messages are manually entered and sent to the user’s phone via a backend content management system.Some CMS systems will allow you to split member and nonmember communication or to pick a few individuals. The types of messages you can send via this method are entirely up to your imagination! However, most common uses include notifications of upcoming events, special offers or course closures. When the app user approaches a certain point it will automatically send the phone a message or an image. This can be used either for sponsorship or suggestive selling for example “Enjoy 10% off your next game” or at the clubhouse, etc. The limitations of GPS based push notification are that they do not work very well indoors because they require line of satellite for them to register that the user is in the area and ping them the message. Also, GPS location based push notifications have a fairly wide catchment area, which can prevent it for being used for things that require better precision. For example with a loyalty scheme, you wouldn’t want anyone driving down the road past your club inadvertently topping up their loyalty card! Similar to GPS push notifications with the exception that you can define an area on a map and whenever anyone enters it, they will be sent their notification. This is becoming increasingly used in the retail and food industry with offers going to your phone for % off the moment you are within a certain distance from their stores. This technology can be very useful for those that have a pay-and-play or other casual facilities because you are able to send an offer to the users Smartphone and entice them in. Using geo-location notifications has been shown to work well alongside a loyalty scheme. The last of notification systems is the iBeacon which is a push and pull system. The app and the iBeacon “listen” out for each other and can be used to create an excellent sales tool and an amazing member interaction tool. I have gone into more detail about it on the next page. iBeacons are small portable, weather proof digital beacons that run off low frequency bluetooth and therefore will work both in and outdoors. iBeacon range is from about 20cms to 200ft which gives managers a large range of options. When set to a close range (sending and/or receiving) beacon it means that they know where the app user is on a micro-environment scale, which means you, the manager of the system will do too! To give you an idea of practical uses, this technology can be employed from the simple to the complex, with excellent results. Retail is starting to use it to do specific adverts, for example, if you are walking around a department store and come within range of an iBeacon in the shoe department you would receive an advert for a discount on a certain brand of shoes and so forth. Clubs could do this for special promotions in their shops, restaurants and other areas of their business. I personally would limit it to special offers as no one wants to see the same message pop up every time they pass a certain spot if they are a regular or staying at your hotel for a week! On the other end of the scale, this technology can be used to completely transform the member’s experience. Valet can be ready to drop their car/collect their bags and know the person’s name and if staying overnight what room the member is staying in. The reception desk knows who has arrived and can start getting items ready for their check in, as well as greet them personally by their name. The pro-shop can also be notified of their arrival and have their buggy ready, etc. And so on. 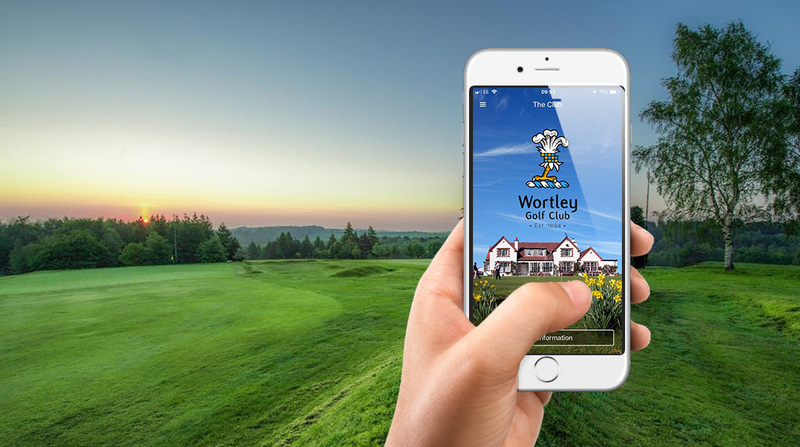 Because of its micro tracking and your own choosing of iBeacon placement, your club would be able to notify the restaurant, the bar, the golf club, the spa, etc. the arrival of the member and enable your staff to greet the member by name and, dependent upon you records, know what their preferences are or even if they are allergic to certain things. Currently the iBeacon is being mostly used in larger retail business and exclusive clubs, but there is no reason that smaller clubs and businesses can not very successfully use the iBeacon on a smaller scale. To find out how any of these types of notifications can generate your club income and increase members experience contact us on 01494 881722 or simply fill out the form below.